Where is your focus: sales or lettings? As the UK summer heats up, so does a letting agent’s diary, and during the summer months this three month spike in lettings can make or break the profitability for some agencies. 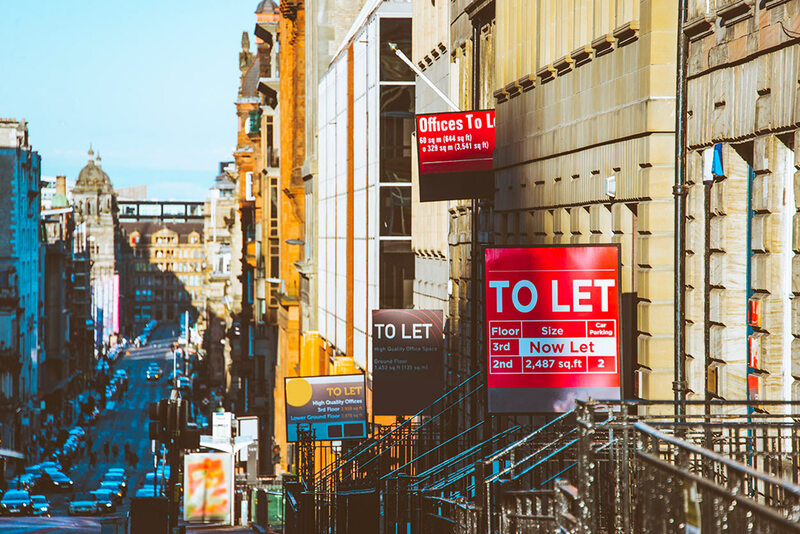 With a slowing sales market and this busy period acting as a springboard, agents around the UK are placing a larger focus on their lettings business and taking advantage of the increasing number of renters in the market. How has the sales market affected lettings? A combination of factors, including housing prices, affordability, lack of supply, legislation and new taxes, have forced the sales market to slow. While most are out of an agency’s control, many are now capitalising on the flourishing lettings market that these issues have combined to create. With the effects being most prominent in large cities, agents throughout the UK have noticed a decrease in sales transactions which is supported by data from the Land Registry and HM Revenue & Customs data. As an example, data shows that within the last four years the number of completed sales transactions in London has declined by 20%, with the rest of the country averaging at 14%. A big driver in the sales market slowing is the uncertainty created by the Brexit referendum on 23rd June 2016. Fears surrounding new tax policy implications and freedom of movement in the EU have caused foreign investment to slow to a halt, and many UK residents are choosing to continue renting or not to sell their house until the market stabilises. Mohammed Wasity, director of Canary Properties in central London, said the effects of Brexit were immediate with half of the deals that were nearing completion stage on 23rd June 2016 falling through as a direct result of the referendum. However, Mohammed has noticed an increase in people renting and has experienced a flourishing lettings side of the business in the last two years. So, why focus on lettings? Sales will always be a vital part of your business, but can you rely on the same revenue stream to deliver the same profit margin as in previous years? The recent trends and data are suggesting otherwise. Agency directors throughout the UK are investing in their lettings process and technology in order to captilise on the growing opportunity in front of them. PwC estimates that by 2025, there will be 7.5 million more renters in the UK, with large cities such as London and Birmingham experiencing massive increases in the number of tenants. We've spoken to a number of Goodlord customers across the UK, and have observed two common themes when asking them what agencies should focus on when seeking to position themselves as a leading letting agent in their area. A happy customer who provides good reviews and referrals is a gift that will keep on giving. Additionally, with the Tenant Fee Ban coming into effect next year, it will simply not be profitable to have tenants move out after a one year lease, leaving your agency to start the search and administrative process over again. Focus on providing an easy-to-use and efficient customer experience for both your tenants and landlords. Ensure you are acting in the best interests of both the tenant and landlord to find the perfect match and add value wherever possible by providing advice, having good communication and offering additional services such as insurance or tenant services set-up. Also, don't be shy - ask happy customers for a referral or to leave a Google review. Lettings is administration-heavy and can be very time consuming - with more and more tenancy agreements to be expected in the future, it is important to know how you will deal with the increase in administrative tasks. Seek out technology that can free you of the paper-based admin process and therefore, allow you to focus on the tasks that will help you gain more business. By digitising the tenancy process as much as possible, you can provide a much more streamlined experience to your clients while freeing up time to provide more value to them with face to face interactions. However you chose to split your focus between sales and lettings, staying aware of the trends in both markets will allow you to make the best decisions for your agency. It's time to reflect on how a slowing sales market is affecting your business and put together a plan on how to replenish the potential loss in revenue. Matt is our former Head of Commercial Sales.